Katie’s Kombucha is coming to the Eatyard stage this weekend from 12-6pm both days to sell her delicious booch in many flavours. 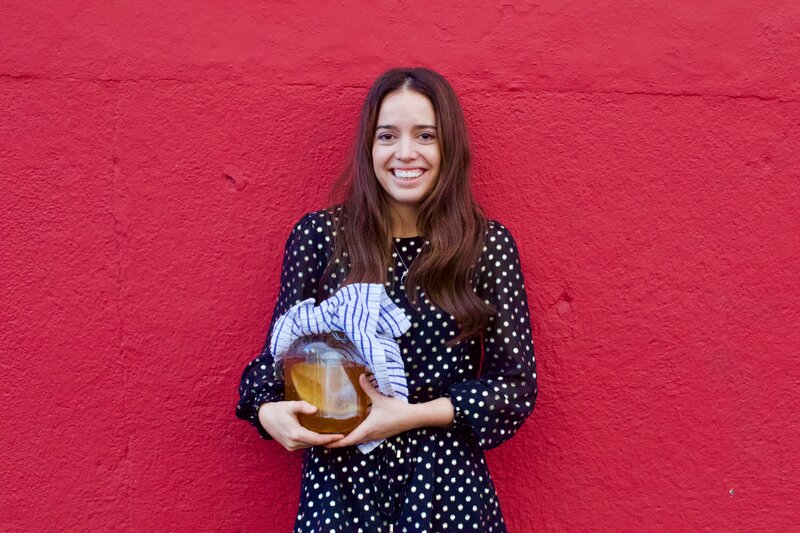 Her kombucha is a healthy pro-biotic drink, vegan and made with love in Dalkey by Katie herself. Katie mcCann did her studies in Ballymaloe and is currently head chef in Fivepoints in Harold’s cross. Only the best brunch spot in Dublin. Katie’s always experimenting with delicious fresh produce with her own spin on the modern day brunch. Their well known for their famous hot & brown sauce which is unreal. Katie started out making her booch for the cafe and everyone loved it so much she’s now branching out and selling her products in a few different spots. You can get her stuff in Fivepoints & 3FE. Her booch flavours are raspberry, apple & dandelion and original tea based flavour. Come down and support Katie’s new business and you won’t be disappointed her stuff is so delicious AND it’s good for you!